Home Arnold Lumber Company Inc. Arnold Lumber Company Inc. The year was 1911 when Carold “Kit” D. Arnold purchased a small wood lot at Ridge Hill in North Kingstown, Rhode Island. Logs were cut by hand then taken to a local sawmill to be planed. The planed lumber was shipped via the Kingston Freight Yard throughout New England. Shortly after clearing the wood lot at Ridge Hill, Kit had to travel as far as Maine to gather pine to support his growing lumber business. During one of those trips to Maine, Kit and his son, Arthur Arnold, Sr., came up with the idea to bring back extra lumber to supply to local builders. In these early days the lumber was kept in the family garage. 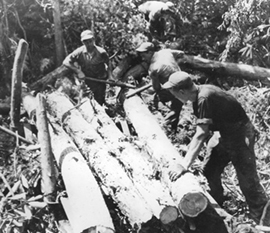 In 1952, the first lumber shed was built in West Kingston. Not quite equipped as a retail location, often customers would come by on Sunday, and even though no one was there, pick out the wood they needed. They’d leave a note saying they would return to make payment on Monday. So began Arnold Lumber Company’s commitment to customer service. 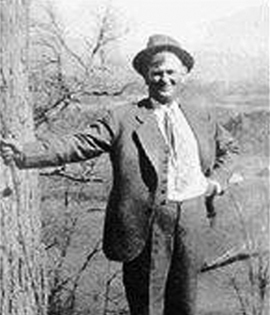 Carold “Kit” D. Arnold purchased a small wood lot at Ridge Hill in N. Kingstown in 1911. The lot eventually became a lumberyard, where lumber was stored in the family’s garage. The company now operates four locations and is still in the Arnold family. Art Arnold, Jr. came home from the Army Corps to join the family business in 1975; by 1982, the company had acquired the Berger Lumber Company in West Kingston. 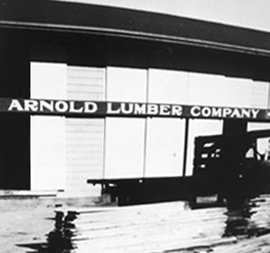 In 1990 Arnold Lumber Company purchased its Wakefield location, and in 2003 the company opened its Bristol location to service the East Bay, and nearby Massachusetts communities. In 2013 Arnold Lumber Company officially opened its fourth location in Westerly. That same year, sisters Allison Arnold and Katharine Arnold Carret became company Co-Presidents. While their father, Art Arnold, Jr., has retired as President, he is still active in the company. Co-President Allison Arnold said that the company has been Epicor customers for a number of years and in 2015 switched to Epicor BisTrack system. The LBM Century Club was created to recognize and celebrate lumberyards that have been serving their communities for more than 100 years.